We highly recommend that you have the fluids in your unit analyzed. Includes Metals Analysis (wear metals, contaminant metals and additive metals), Viscosity at 100C , Water Content and Soot Content in engine oil, transmission fluid and generator oil. On The Fence? Listen to this podcast. Pre-Purchase Inspections. We inspect all aspects of the trailer from the roof downward. All inspections include propane leak testing, propane regulator testing, and life safety analysis. We inspect all appliances, AC and DC power sources, search for water and mold damage, report on potential ​water intrusion locations and much more. Relevant photos are included in our report. * Hidden items are excluded from any inspection. ​Book your inspection online now! Why an inspection? Go here! We are bound by the NRVIA Code of Ethics. Click the button below to read the Code. Disclaimer: An RV inspection by RV Guy Mobile RV Service, LLC is not in any way to be considered a warranty or guarantee (expressed or implied) on the unit being inspected. It is simply a “snapshot” of the condition of the unit and the items inspected at the time of the inspection, based on the inspectors’ opinion. The scope of the inspection does not include inspection of decay or hidden defects of the interior of the floor, walls, roof, or other areas not accessible. 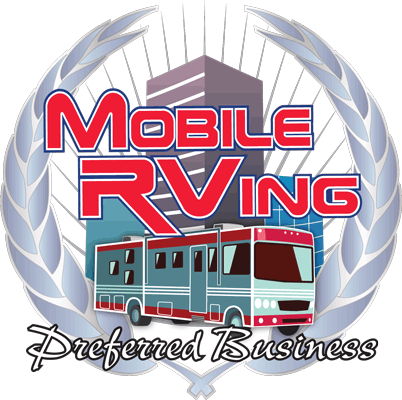 RV Guy Mobile RV Service, LLC, cannot and will not be responsible for the condition of the RV after the inspection. Learn more about why you need Certified Pre-Owned. Click the image below for more information! Still on the fence about having the RV you are interested in, Inspected by an independent third party? According the Recreational Vehicle Industry Association, RVIA, over 50,000 RV's were shipped to dealers in March. That is a whopping build rate of over 1600 per day!!!! With a build rate like this, can there be perfection?